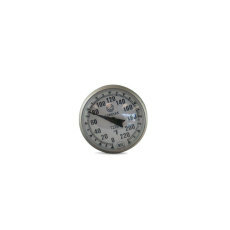 Small and handy thermometer with a 0-220 F range measured in 2 increments. 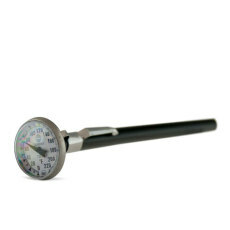 Small and handy thermometer with a 5-inch probe and 1-inch face, that works great for beer and cheese making. 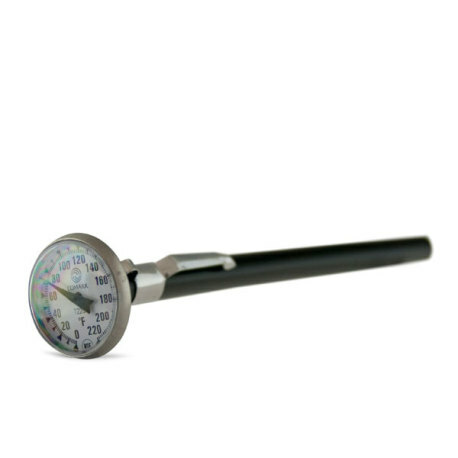 Range of 0-220 F with 2 increments, and can be easily calibrated by hand (no wrench needed). 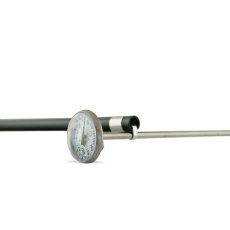 Stores easily in a plastic sheath, with a clip that will secure it firmly inside your pocket.